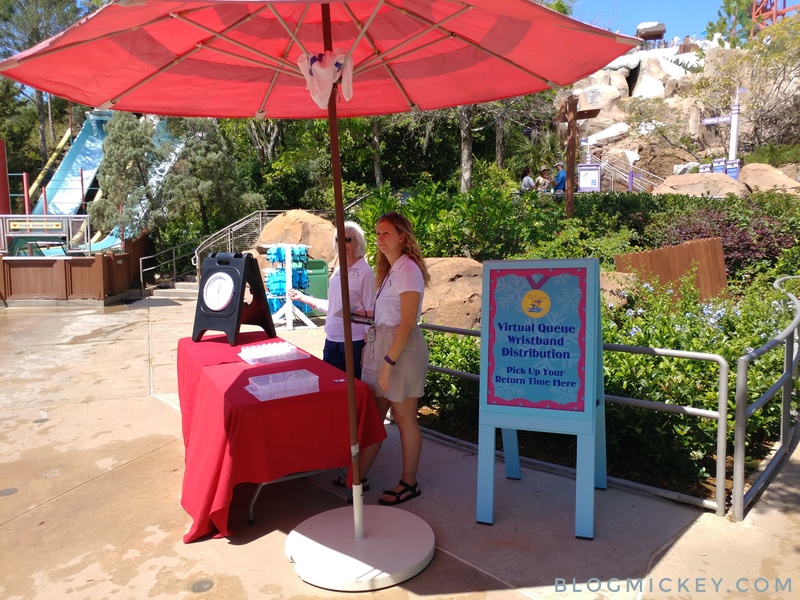 Starting today, guests visiting Blizzard Beach and Typhoon Lagoon can participate in a virtual queueing test. The test will run through April 7th and will include Downhill Double Dipper, Slush Gusher and Summit Plummet at Blizzard Beach and Miss Adventure Falls at Typhoon Lagoon. 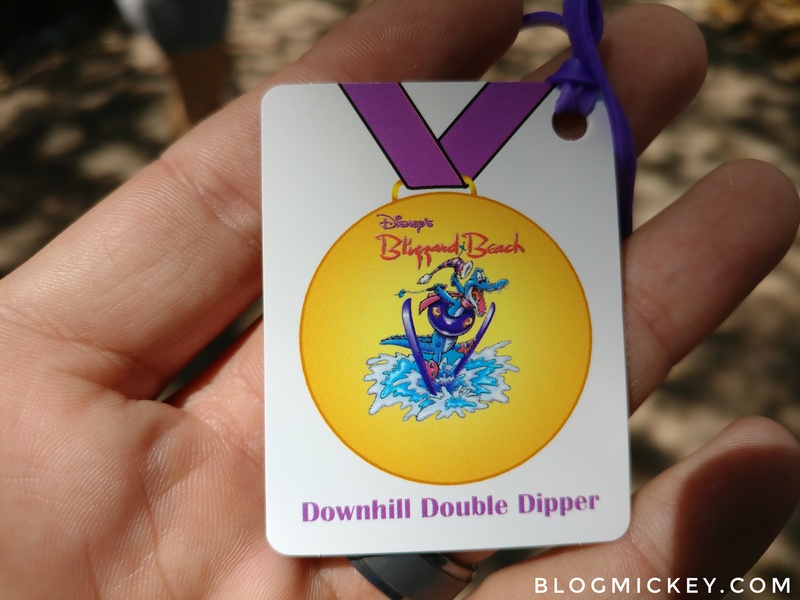 We were directed to Downhill Double Dipper to receive a wristband with a designated return time. The test does not utilize MagicBands or the My Disney Experience app in any way. 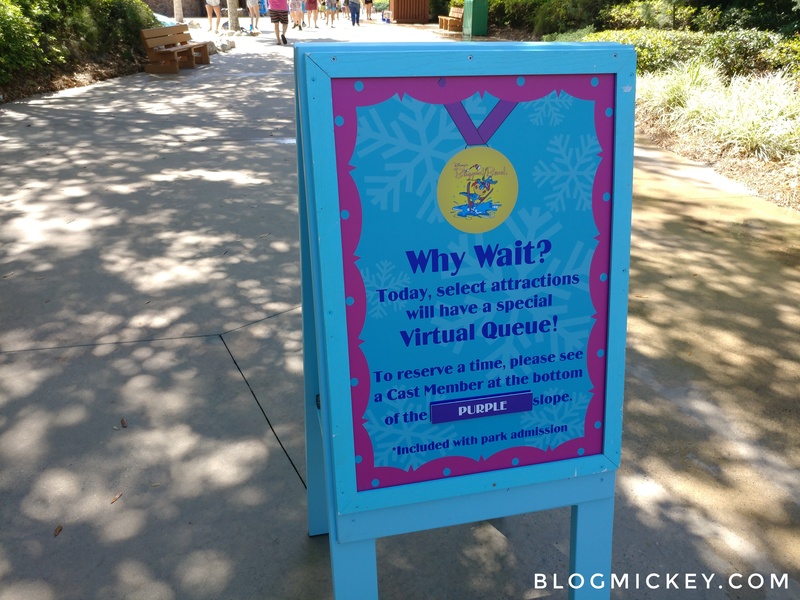 While the concept of the “virtual queue” is extremely similar to FastPass+, there is no ability to book ahead of time and there are no digital components to the test. 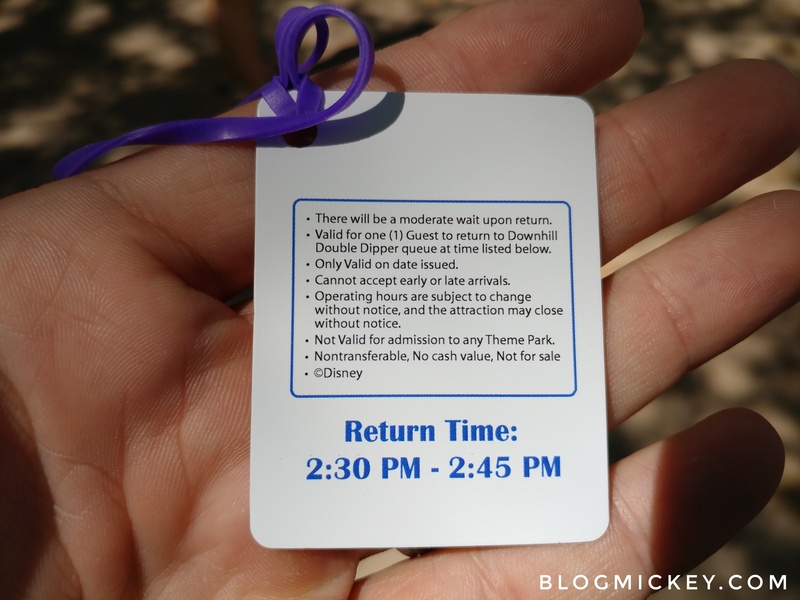 We would liken this test to the old paper fastpass system where return times are distributed on a first come, first served basis for guests visiting the water parks on the same day. Virtual queuing systems are designed to enable users to reserve a place in line for an attraction without physically waiting in the queue, providing an enhanced Guest experience and more time for additional experiences.